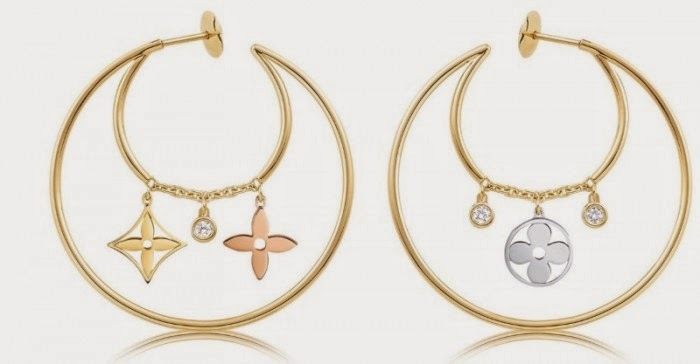 Described as the most wearable of Louis Vuitton jewelry, the new pieces from the Monogram Idylle collection are fresh, feminine and faithful to the brand. 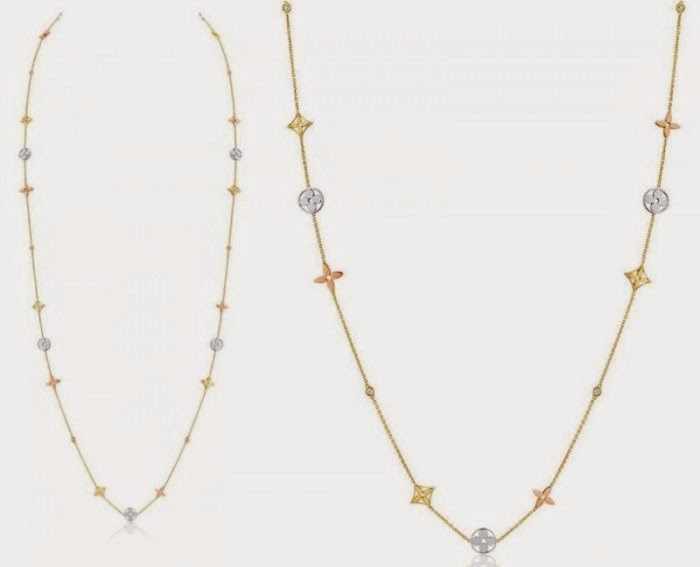 The playful collection interprets the iconic Monogram flowers in the three shades of gold, resulting in recognizable, easy-to-wear pieces that can be mixed and matched. Also each motif has its own power – Fortune, Joy and Passion! For just $3,400, this set of three stackable rings can be worn separately or together. 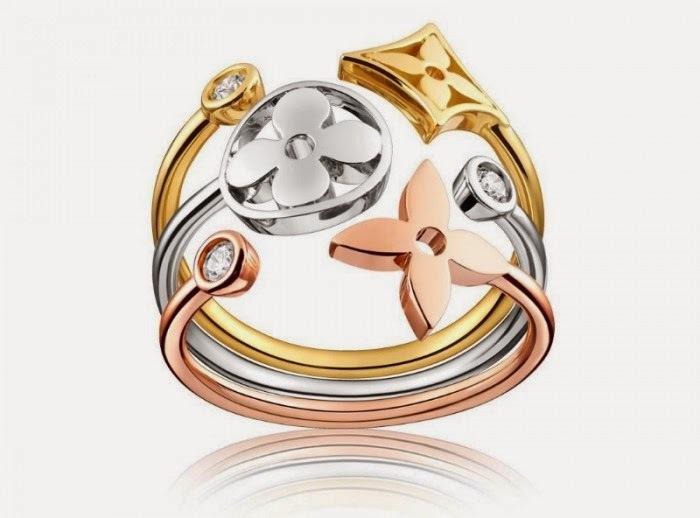 The rings combine the round and star-shaped Monogram flowers with three single diamonds. 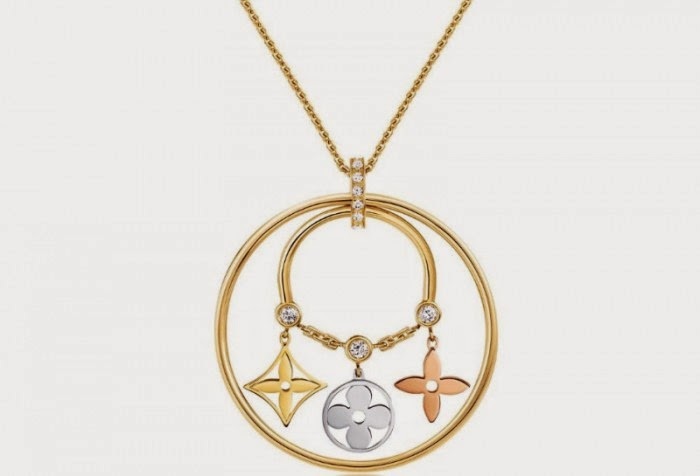 This Louis Vuitton necklace brings together the Monogram Flowers in three golds with glittering diamond pampilles. A contemporary piece for summer that will add charm throughout the day for $4,950. Dress up the ears with the Monogram Flowers and glittering diamond pampilles that hang from Oriental hoops in playfully asymmetric design. 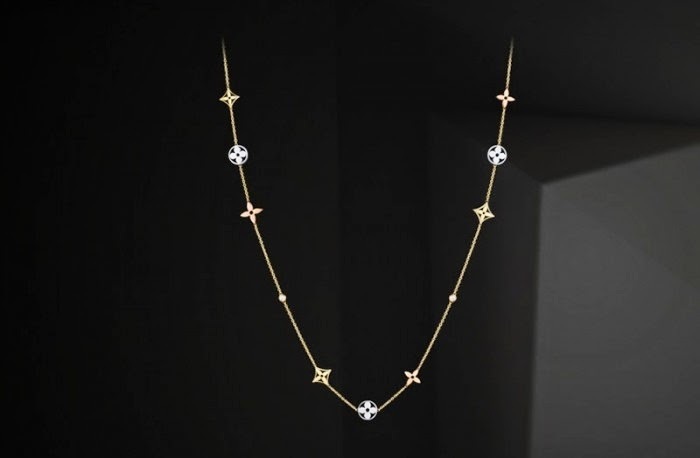 For $4,950, the suspended motifs accompany their wearer’s movements in an ode to refined femininity. 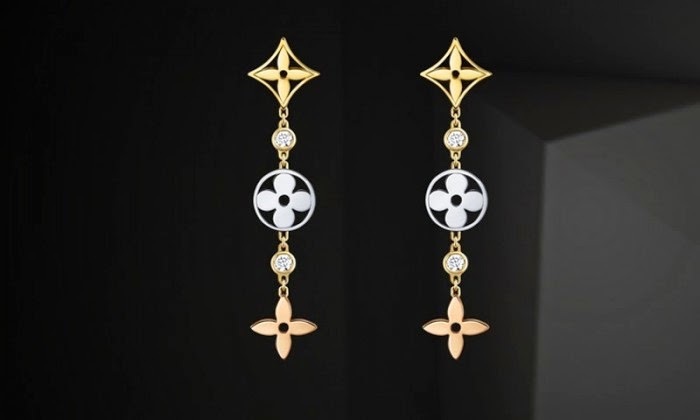 The long earrings allow the LV fans to wear all three iconic Monogram Flowers in three shades of golds on each ear. This easy-to-wear piece is designed to echo the body’s movements as well as reflect the light. Put them on for $3,550. Iconic and alluring, the Sautoir is an intensely mobile necklace that undulates with every movement to reflect the light. With its special clasp, double-sided motifs and open-backed settings, it can also be worn in a shorter double-row version. It adorns the neckline for $9,600.